Dusting bookshelves is a hazardous task. Before you realize it, you’re not moving dust around but are halfway through the second reading of a good book you’ve discovered on the shelves. Yesterday, I indulged in this diversion from dusting when I found one of Greg Guirard’s books, Psycho Therapy for Cajuns , subtitled A Traditional Culture Struggles for Survival in a Crazy World. I usually place Greg’s books on my coffee table so that visiting Sewaneeans can take a look at his photographs and text about the Atchafalaya Basin and surrounding environs—can “pass a good time” reading about the Cajun culture. Greg also describes a Cajun as someone who has one foot on shore and one on the boat, who can’t decide whether it’d be better to jump on the boat or jump back on land. He presents vignettes about weavers of hoopnets, crawfishermen, duck hunters, oyster shuckers, along with photographs of giant snapping turtles and of the faces of seasoned Cajuns who still live on the water. He includes a special treatise on language and the perversion of it—and not necessarily by Cajuns! One of my favorite anecdotes in Psycho Therapy is about legendary Pat Rickels, who taught English and coordinated the Honors Program at the University of Louisiana, Lafayette for decades. Pat was also a famed folklorist and had an abundant store of Cajun lore. According to Greg, when she was a graduate student at LSU, she lived next door to a Cajun couple with a six-month old baby. Pat discovered one day that the baby was feeding on a bottle filled with brown liquid in it, rather than milk, and the mother paused to shake it up every few minutes. “What’s in the bottle and why do you keep shaking it?” Pat asked the mother. “Well, it’s gumbo,” the mother replied. “I strained it but have to shake it because all the pepper settles in the bottom.” Greg relates that it was then that Pat, who wasn't from Louisiana, realized that she was in another country! You can read about Greg and his books, posters, cards, and prints by going online at www.gregguirard.com. And I’ve moved Psycho Therapy to the coffee table. If you travel south on a shady highway toward Sherwood, Tennessee, passing St. Mary’s Convent of Sewanee along the way, and turn right into Carriage Lane, you’re likely to see Claudia Porter wielding a hoe in either her vegetable garden or backyard flower garden. She’s tending her crops after the example of her father, who was a cotton farmer, and her grandmother “who spent a lifetime 'in the yard' as they say in Clarksdale, Mississippi,” Claudia explained. Claudia says that because of her father who farmed cotton, corn, soybeans, and peanuts on 2,000 acres in the rich Delta of Mississippi, she has “dirt in her blood,”... along with a green thumb inherited from her grandmother. That thumb cultivates potatoes, squash, butter beans, purple hull peas, blueberries, green peas, sugar snap peas, asparagus, kale, as well as a small herb garden on 2 ½ acres the Porters own. Joe, a retired Episcopal priest, usually helps Claudia “put in” the garden but she’s its major caretaker. Claudia likes the look of English cottage gardens and says most of her plants have been “pass-alongs.” She has a plethora of daylilies, knock-out roses, and perennials. Recently, she planted wisteria on a pergola of the patio, where she and Joe can sit and breathe in a scent that replaces gardenia plants they cultivated in their Memphis garden. Visitors are invited to sit in the living room where French doors open onto a glassed-in porch overlooking the flower garden and watch goldfinches dart to and away from the bird feeder by the back door. “My grandmother tended plants, dressed in her house dress and bedroom slippers, and spent most of her life gardening and raising five children,” Claudia said. “We always had a garden, but I didn’t really have one of my own until Joe and I married. Despite the fact that I’ve always gardened, I was frustrated with the small space I had for a garden until we moved here and I was able to have this large garden, which is labor intensive I might add.” Both the Porters miss the heavenly scent of gardenia plants they cultivated in Memphis, Tennessee where Joe last served as a minister at St. Luke’s Episcopal Church. Claudia recently made a presentation about gardening opportunities in the St. Mary Conference Center area at the Associates of St. Mary Convent's Annual Retreat, emphasizing that the St. Mary’s Conference Center Prayer Garden needs weeders for plots of lettuce, peppers, tomatoes, and flowers. The Prayer Garden is supervised by Michael Thompson, an oblate of the Roman Catholic Monastery of the Holy Spirit in Conyers, Georgia, who came to St. Mary’s Conference Center, Sewanee primarily to develop a prayer garden. 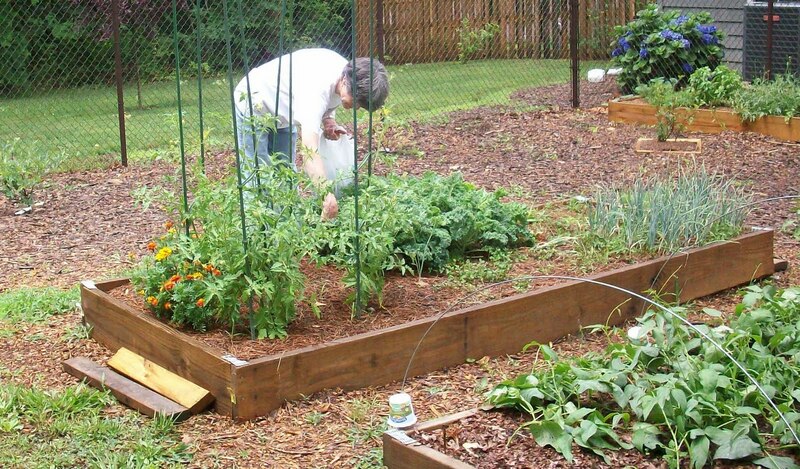 The garden, a fenced in property, is used as meditative space but also functions as a vegetable garden. Produce grown there has been donated to outreach programs, such as the Community Action Center sponsored by Otey Episcopal Church. “Michael’s vision is for a large-scale garden, including berry plants, fruit trees; he's even considering small-scale farming,” Claudia said. She frequents the St. Mary's garden often but insists that she’s just a worker bee. Once a month, Claudia puts on her St. Flacre (or Fiacre) T-shirt (patron saint of gardening) and carries out additional worker bee activity at Otey Episcopal Church. 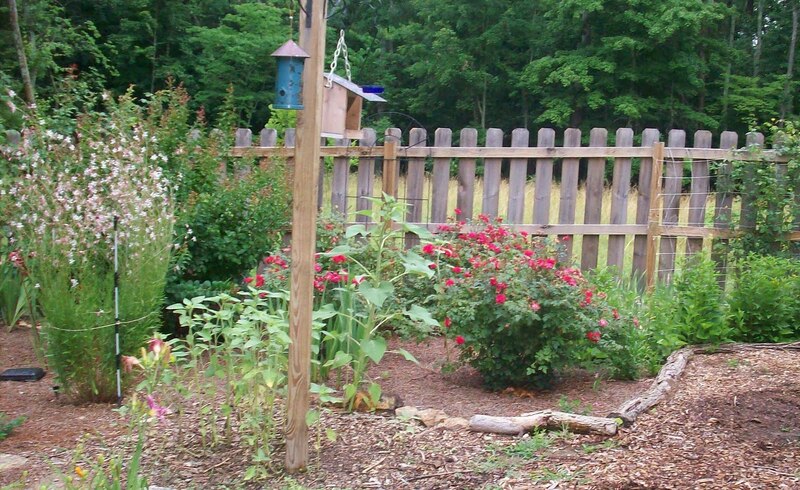 She’s also a member of the Sewanee Garden Club and attends all workshops about gardening in Tennessee available to her. 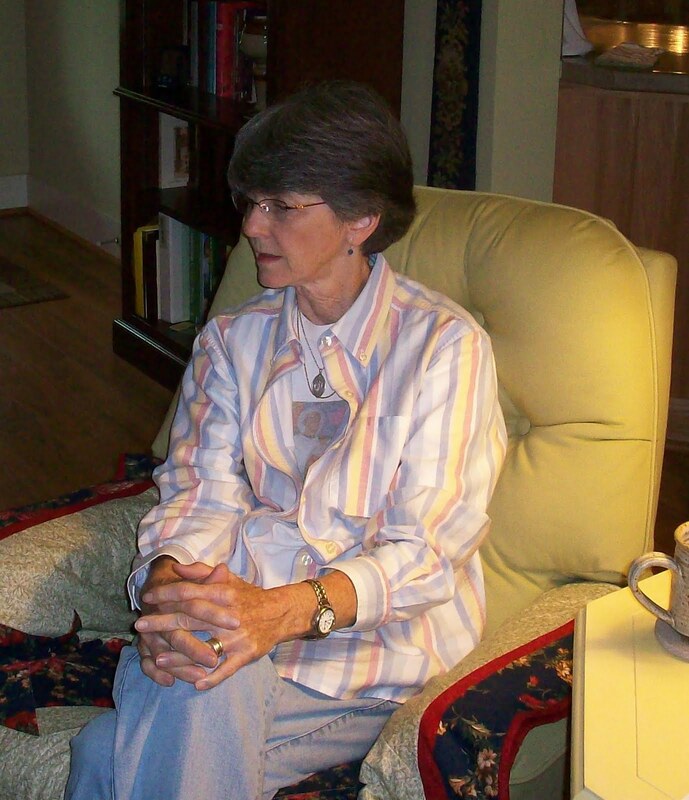 A person of unique humility, Claudia nourishes her spiritual life with gardening and with her work as a companion of Rivendell Community, in Dunnegan, Missouri, a prayer and hospitality group of which she became a member while living in Memphis. It’s an official spiritual community in the Episcopal Church led by a group of women priests who embrace the Benedictine Way of Life. Claudia attends the organization's get-togethers annually, and on Saturday nights, she joins a group of seekers of the spiritual life at St. Joseph’s, St. Mary’s Conference Center, Sewanee, who're interested in the Benedictine Way, sharing Evensong, a meal, a discussion on the Benedictine Way (led by Michael Thompson), Lectio Divina, and Compline. The walls of the Porter home are decorated with icons and religious pictures. Books by Esther de Waal and volumes about gardening lie on small tables in the living room. Claudia claims their home has the ambience of a retired priest because most of the paintings and icons were donated by former parishioners, but it’s a home that visitors feel is a sacred space. It's also a place of conviviality—the Porters like to entertain and have fun...and, of course, to show off (and share) their garden produce. Many years ago, I discovered a maxim that has remained among my favorite quotations, a saying attributed to a Chinese philosopher who penned the line, “Silence is a true thing and never betrays.” The image of an old live oak voicing this statement always comes to mind when I read the words that became the last sentence of a book I’ve written entitled SILENCE NEVER BETRAYS. It’s my latest novel, an ebook released by Border Press this past week on 14 June. The dark novel is set in bayou country, Louisiana and centers on an old mansion and its owner, Hadrian Boswell, an eccentric who gains notoriety as a mischief maker and whose last mischief before dying involves voodoo houngans. It’s a story with the steamy ingredients of a southern Gothic: house guests who are frightened out of their sleep by Hadrian; a wild boat ride with Hadrian steering a rowboat in darkness at Last Island, Louisiana; Waverly, the spurned wife of Hadrian who vows vengeance because Hadrian refuses to consummate their marriage; King, a manservant who has ambivalent feelings about his eccentric employer and wishes to kill him; and Joseph, a young artist who moves into the mansion but resents Hadrian’s patronage. The surprise ending includes a scientific discovery and a strange transformation in Hadrian’s behavior that eclipses his past eccentricity. One publisher who reviewed the manuscript of SILENCE NEVER BETRAYS wrote that he envisioned a movie being made of the story. Well, HUSH... HUSH, SWEET CHARLOTTE was filmed nearby on the old River Road in Louisiana! This is an e-book with a handsome cover, the photograph rendered by Victoria Sullivan (author of Adoption) and designed by Martin Romero, my grandson. 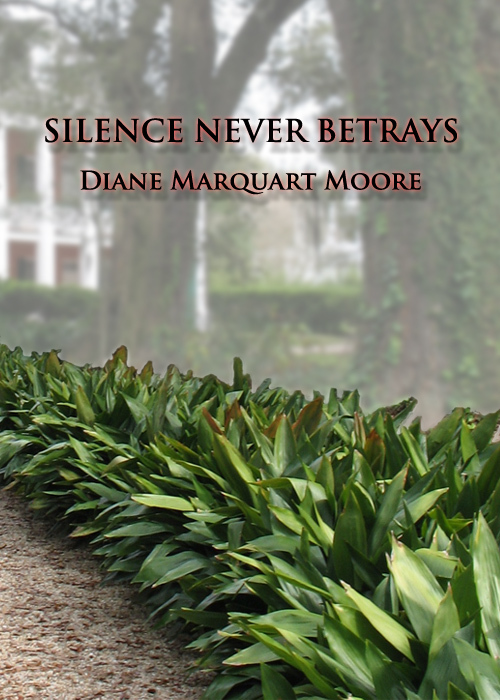 Click on http://www.smashwords.com/books/view/66678 to download a novel that underlines the idea that if all those ancient live oaks in Louisiana could speak, they’d tell some dark stories…however SILENCE NEVER BETRAYS! 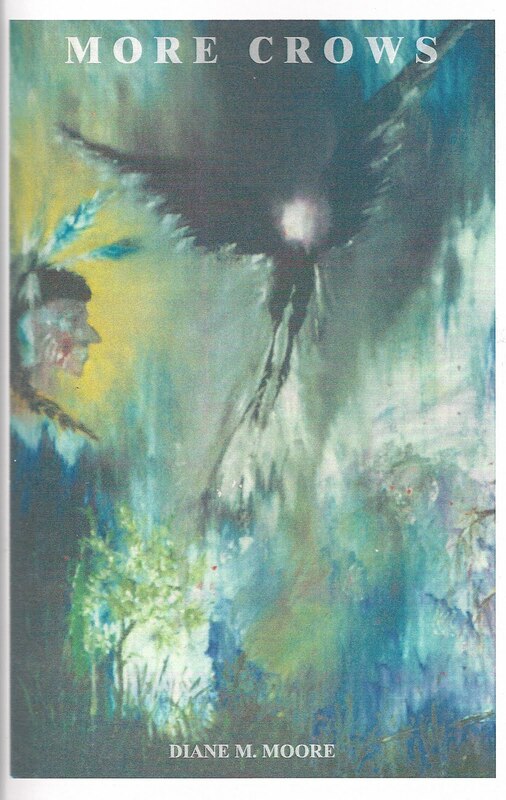 Some of my poetry (MORE CROWS, published by Border Press, 2008, www.borderpressbooks.com) and blogs are filled with allusions to crows, birds that most people abhor. My godfather, now deceased, once chided me for admiring them and thought I was in league with bad spirits because the sight of them diving in my backyard in Louisiana excited me. I’ve never been under attack by crows, but, recently, stories about several crow bombers have caused me to rethink my ideas of their intentions. Yesterday, while I talked, via telephone, with my youngest daughter, Elizabeth, who lives in Palmdale, California, she stopped the conversation long enough to warn Joel, 7, about climbing a hill behind her home where crows were acting up. They had zeroed in on Joel’s small mixed breed, pug and Chihuahua dog named “Sugar” and were practicing deep dives to frighten the animal. Elizabeth said they had been attacking the dog for several days, and she feared Joel was their next target. Then there’s the story of a flock of crows living in Warwick, UK, that attacked cars, pulling off the windscreen wipers and scratching the paint jobs of several automobiles. After they finished this attack, they began attacking humans. A conservation officer has said that the crows became aggressive because they were nesting, and people came too close to their territory. The officer recommended that residents wear hats and leave no waste food lying about. I suppose I should heed these cautionary tales and revise my thinking about crows, but I heard several of them cawing in the yard here at Sewanee, Tennessee this morning and chose to think that they were simply announcing a thunderstorm that has been threatening to happen for a week. Unfortunately, a few peals of thunder and darkened skies subsided within an hour, and my weather predictors have taken wing since their loud and mistaken announcement of rain. stripped of branch and inviting green. this place free of litigation. of holy, unholy dark princes. During a whirlwind visit to New Iberia, Louisiana recently, we lunched with Mike Richard, owner of Rip Van Winkle Gardens at Jefferson Island near Delcambre, Louisiana. He commissioned me to rewrite and update a book about Rip Van Winkle Gardens (formerly called Live Oak Gardens) which I had written back in 1991. Mike has reworked the gardens and added a rookery for roseate spoonbills since I last visited the island, and he took us for a ride through the nursery section of the gardens and the rookery where we got a close look at these colorful birds nesting in the trees. An entrepreneur, Mike owns 250 acres of a thriving nursery, a contracting company, and the Rip Van Winkle Gardens, which includes the Joseph Jefferson house, a treasured tourist attraction of south Louisiana. He’s also a lively raconteur and host and kept up a running commentary about the island, the gardens, and the old timers who have lived on Jefferson Island for at least five decades. We sat on a glass-enclosed porch of Café Jefferson, which overlooks Lake Peigneur, safe from the 100-degree heat and humidity of a hot June day in south Louisiana, and I enjoyed chicken/sausage gumbo made from a dark roux, a salad, and a crème brulee cheesecake that did serious damage to a diet I’m pursuing.... but I appeased my sweet tooth. As he has sold out of the copies of the book I wrote about the gardens, Mike says he wants to answer the demand of tourists seeking a new book containing information about the Joseph Jefferson house, the island, and gardens. I’ll research and add to the material used in the first volume and look forward to working in the Rip Van Winkle Gardens during the cooler months of October. The Jefferson mansion, an imposing white house that sits on a high hill of Jefferson Island (once known as Orange Island), was built by Joseph Jefferson, the actor who portrayed Rip Van Winkle in 4500 stage performances. Jefferson had searched for the place to build a house as a winter residence because he was a sun seeker … “thin and quickly chilled,” according to writer Francis Wilson. Jefferson built the Louisiana mansion as his retreat between theatrical seasons. He also owned homes at Buzzard’s Bay, Massachusetts, Hohokus, New Jersey, and other places he sought out for relaxation from a demanding acting career. A hospitable man, he entertained notable visitors—actors, writers, even President Grover Cleveland, at his island home during the late 19th century. Although Jefferson Island is referred to as an “island,” this is a misnomer as the property contains mostly intermediate salt marsh and rock salt. Jefferson’s imposing home sits atop a hill, a white frame, octagonal, two-story building (three levels, counting the cupola) with verandas on three sides and square columns connected by a balustrade of filigree wood on top. In the center of the roof, a rectangular cupola containing four dormer windows, juts above oak treetops. This third level of the home, the cupola, houses a studio room which served as the place where Jefferson often painted landscape art. Light filtered in from a skylight in the ceiling, and Jefferson had a panoramic view of the countryside from this level. Visitors to Orange Island had to make the twelve-mile trip from New Iberia, which took five hours, to reach the handsome home, a combination of Moorish, Steamboat Gothic, French, and Southern plantation architectural styles. My favorite room in the house is the elegant dining room of cathedral Gothic design. The room has a carved beamed ceiling decorated with Moorish trim and has been refurbished with green silk wallpaper. Like most of the rooms in the old mansion, it’s filled with light—throughout the house, diamond-shaped window panes let in light, creating an atmosphere of cheerfulness and hospitality. One of Jefferson’s innovations to the house was the creation of an air well from hallway ceiling to top floor that provided natural cooling. Hot air escaped through the top of the well and pulled cool air down through the windows of rooms with 12-foot ceilings. The mansion faced southeasterly to catch southeast winds which drifted into the long hall. Twelve foot ceilings in all the rooms contributed to the cooling effect. The 12 x 40 feet hall was flanked by “daytime” and “nighttime” rooms on either side. Pickled cypress walls in the hall were painted by artists using the faux bois (false wood) process and resemble mahogany. Jefferson also created a smoking room where wildlife paintings by A. Pope, Jr. decorated the walls and added a library (in 1991, this library contained a display of coins found on the island in 1923 and supported the idea that the pirate Jean Lafitte buried treasure on Jefferson island). A back parlor boasted three misty scenes painted by Drysdale, the famous Louisiana painter. Jefferson built a two-room cottage at the rear of the house where he slept because he harbored the superstition that if a man built a home late in life and slept in it, he would die within a year. Jefferson was 41 when he built the home but the life expectancy of a man was 49 years during the 1800’s! It is believed that Mrs. Jefferson visited him in the cottage. This sketchy description is only the tip of the iceberg about the Joseph Jefferson home, and I didn’t tour the gardens while visiting the island, so there’s more to be told. The book I’ll write in the Fall will give readers a more comprehensive view of this beautiful property. Meanwhile, you can find guests sitting under slow-moving ceiling fans in white rockers on the long veranda of the Joe Jefferson mansion, perhaps chatting about the gardens they have strolled through and savoring the peaceful ambience of a home known for its hospitality and generous levels of light. 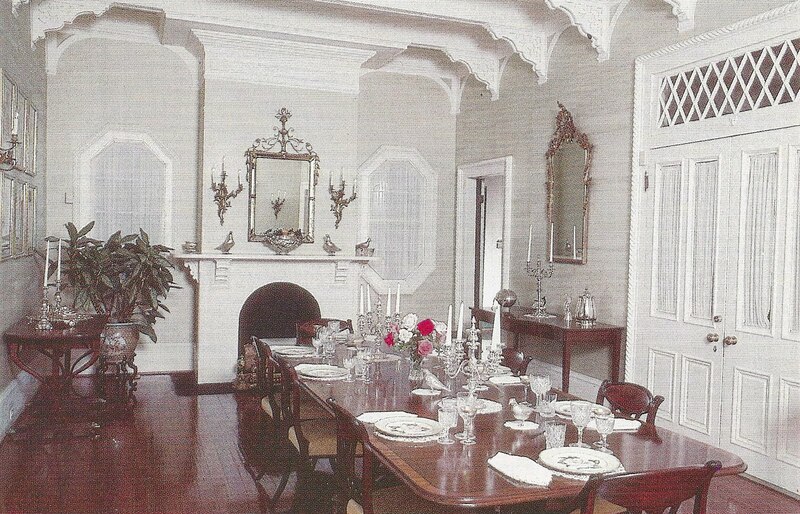 Photograph of dining room from LIVE OAK GARDENS written by Diane Moore, Acadian House Publishing, Lafayette, Louisiana, 1991. Equally powerful are his poems about his literary friends from south Louisiana. Included in HOLDING THE NOTES is the tribute to his friend, Ernest Gaines, writer of the memorable The Autobiography of Miss Jane Pittman . The tribute poem was composed for the opening of the Ernest J. Gaines Center at the University of Louisiana at Lafayette. Entitled “Of Men and Rivers,” the masterful lyrics evoke images of Gaines’ childhood and the Quarter residents who live in his stories about southern blacks, which he created from memories of those Quarter characters. Darrell’s poems are evocations of the region of south Louisiana where he still resides and are rendered with honesty and strength of character. He has a sense of place honed to precision, a gift for portraying lives normally unsung, depicted with gentle wisdom. of my aunts in my mother’s kitchen. in the upper branches of the trees. sitting inside another pot on the stove. gateau sirop or des orielles de cochon. close by, they lighted the room with. and it was their job to start the day. 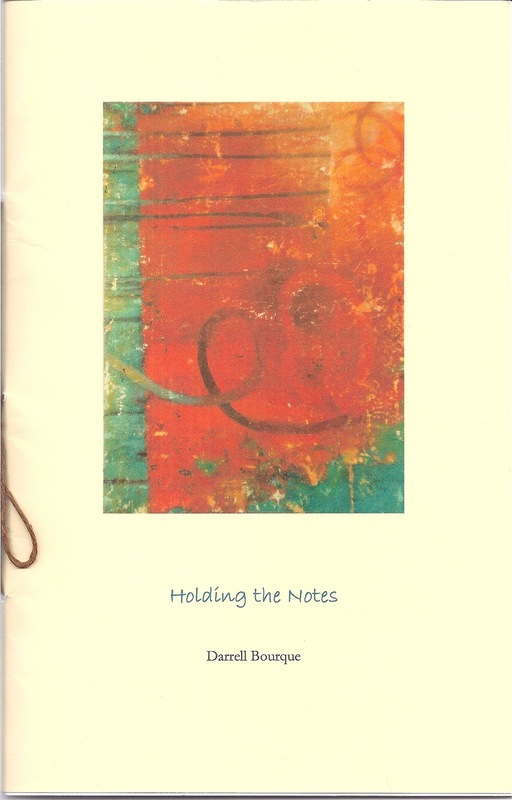 I enjoyed the honor of reading alongside Darrell a year and a half ago in New Iberia, Louisiana where we shared one segment devoted to children in Haiti, and Darrell’s poem from that reading, “Venus Rising in Haiti,” is contained in HOLDING THE NOTES. 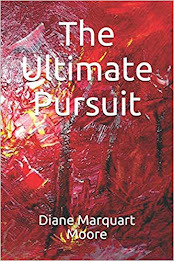 Darrell’s previous books include THE DOORS BETWEEEN US, Burnt Water Suite , The Blue Boat (my favorite), Call and Response , and In Ordinary Light . He is presently Professor Emeritus of English and Interdisciplinary Humanities at ULL where he held the position of Friends of the Humanities Honor Professor. and lately won even more.